Do you believe in luck? My belief in it comes and goes. I’m more into doing the work. It does seem, though, that some people are born a little luckier than others. For example, not all of us are able to get a small loan of a million dollars from our dad (don’t worry; this isn’t a political post). 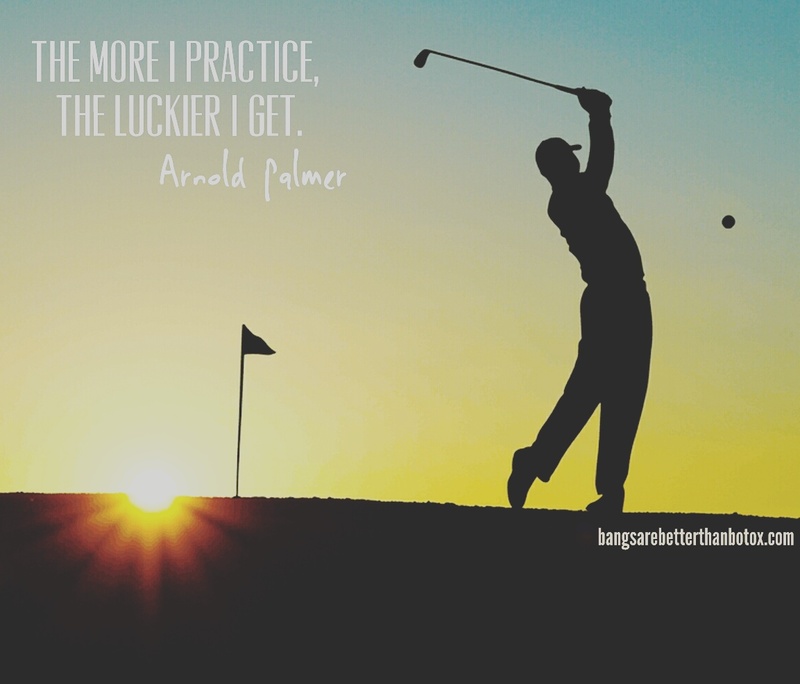 Arnold Palmer said it best, “The more I practice, the luckier I get.” You have to do the work. People from both sides of the aisle like to take digs at Chelsea Clinton and Ivanka Trump. They were, after all, born into wealth and basically handed dream careers in adulthood. The thing is, I’m not one who is going to say that they aren’t putting in the work needed to maintain and grow those careers. I’m a mom; I know what I’ll let my kids get away with. Being lazy and ruining my business isn’t high on that list. I’d fire them in a half-second, if they jacked-up something I’ve worked so hard to build. My biggest goal for 2017? Work so hard that people think it’s my luckiest year yet. I have some business goals to achieve. I promised Maire a stack of rejection letters for my writing (proof I’m putting in the work), and they have to show up on her desk by my birthday in April, so I have less than 100 days. I’m president of a fledging business association that needs to fly, and I’m vice-president of a theater board that has pretty lofty goals for next season. All that and Pooka turns 12. There’s plenty of work waiting for me. So crack open that fortune cookie – it’s our lucky year.